Medium bodied, slightly rustic in the end note and showing older than its true age in the color, nose and palate, the wine has a sweetness of fruit on the palate with a soft texture, which is nice, but the tannins are a bit harsh. This is not a wine for further aging. With a mature edge to its color, on the nose, the wine is all about its truffle, thyme, red fruit and smoke character. On the palate, you find soft, round textures, sweet, dark cherries and earth, There is no sensation of heat of jam. Tasting older than its true age, you find dusty tannins and polished, spicy red berries. Quite nice for a difficult vintage. The wine was made from blending 45% Cabernet Sauvignon, 35% Merlot and 20% Cabernet Franc. Developed in color, tobacco, cigar box, strawberry, cherry and leafy notes lead to a sweet, soft, supple, round and drinking at what is close to peak, I’d opt for drinking this over the next 5-8 years. Smoke, tobacco, cassis and peppery spice scents open to a medium/full bodied, finesse styled wine that is developing rapidly. Chateau du Tertre can be enjoyed on the young side with decanting, but it is much better with age. Young vintages can be decanted for an average of 1-2 hours, give or take. This allows the wine to soften and open its perfume. Older vintages might need very little decanting, just enough to remove the sediment. Chateau du Tertre is usually better with at least 10 years of bottle age. Of course that can vary slightly, depending on the vintage character. Chateau du Tertre offers its best drinking and should reach peak maturity between 10-25 years of age after the vintage. Chateau du Tertre is best served at 15.5 degrees Celsius, 60 degrees Fahrenheit. 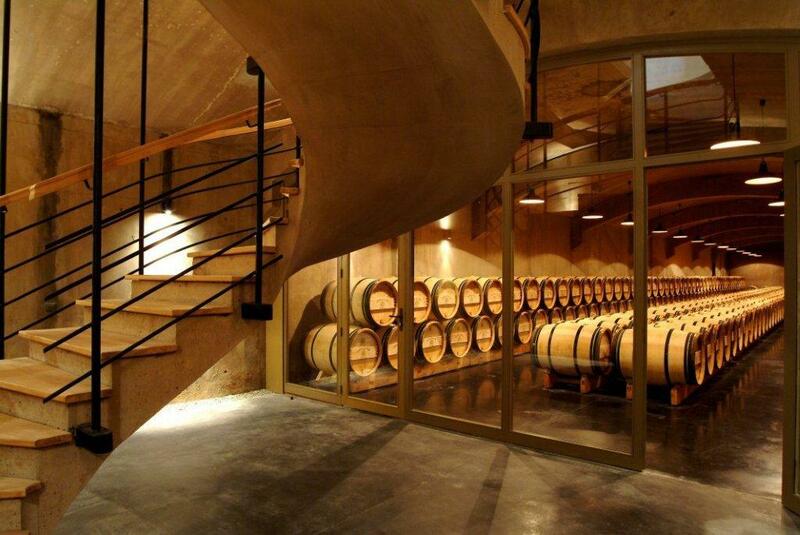 The cool, almost cellar temperature gives the wine more freshness and lift. Chateau du Tertre is best served with all types of classic meat dishes, veal, pork, beef, lamb, duck, game, roast chicken, roasted, braised and grilled dishes. Chateau du Tertre is a perfect match with Asian dishes, hearty fish courses like tuna, mushrooms and pasta as well as cheese. Starting with the 2014 vintage, Chateau du Tertre began producing a dry white Bordeaux wine, "Tertre Blanc". The wine is produced from a unique blend of Sauvignon Blanc, Chardonnay, Viognier and Gros Manseng. The wine is sold as a Vin de France because most of those grapes are not approved for planting in Bordeaux. The production is tiny, so good luck finding any as only 500 cases are produced each vintage. The white wine of du Tertre can be paired with all types of fresh seafood, shellfish, sushi, sashimi and of course cheese.